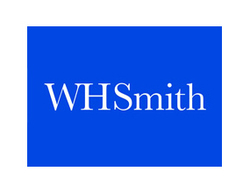 WH Smith is one of the UK high street’s oldest names with roots dating back to 1792. Until recently the company was split into two main operations: retail and news distribution. In 2006, after a series of disposals that saw publishing house Hodder Headline sold, the company demerged its distribution arm to leave it focused purely on retail. WH Smith's strategy in maximising dividend returns for its shareholders is aiming to monopolise the market in overtaking multiple locations in the travel sector and on the high street.